The digitisation of all documents in the future is almost inevitable but it is vital we emphasise why it is so important to digitise both old and new files. 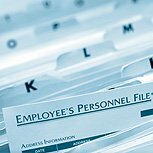 In the case of HR files this can be especially important as virtually every piece of documentation within a file such as staff member file is relevant and can prove to be essential. This is as much the case for ‘dead’ or leaver’s files as it is for current employee documents and access to them is essential. Our reliance on some physical paper documents began hundreds of years ago, in the case of HR documents, only around 70 or so years ago, but it’s important not to be blinded by tradition and ‘the way things have always been done’. If there’s a better solution out there it should be used where possible and digitisation of HR documents is just that. However, a lot of companies and organisations are yet to realise it. Scanning documents can look to be a pretty costly process but, what people don’t realise is that it needn’t be costly at all. Scanning can cost as little as a penny per sheet which works out much cheaper than traditional document storage. Depending on your size, digitising HR files can be an incredible relief. Some of the organisations we have helped out in the past have literally hundreds of filing cabinets and thousands of boxes of current and leaver files either being kept onsite or put into storage. This is process works for those with much smaller quantities, say a drawer or two in a filing cabinet, but when you get to that level things will undoubtedly become messy. Documents are lost, they slip into the wrong file in some cases files, can be accidentally merged or entire files can go missing. Human error is natural; a filing system like that is not. Going paperless is the future; maybe not in that Jetsons type of Minority Report way, but in the areas where it truly matters such as our human resources departments as well as finance and accounts. When done right, digitising HR documents can enable faster access, an easier system to make additions to and less paper resources and costs. Depending on your company’s needs, there can be many more benefits. There is no fixed requirement to keep HR documents for leavers (although many argue that 7 years is typical) but some organisations tend to hang on to documents for life. This can lead to the aforementioned chaotic environment or, in perhaps a worse-case scenario, documents needing to be put into storage. Storage costs often look low on first impressions but can quickly become ridiculously high, especially when you add up the less spoken-of add-ons, such as file retrieval costs and the eventual leaving cost. These costs can prove to be quite high, especially as an ongoing cost compared to the one off nature of scanning prices. So, earlier the document scanning solution was seen as the higher cost one but when you weigh up everything else alongside such as potential storage costs, inconvenience, time wasted and potential loss of files, it looks like a vastly superior option. Because additional documents can be added into any good digital document management system, such as our own document retrieval and search software, Halogen, all you’ll need for the ongoing work is a decent enough document scanner and software to use on the files and add new ones into the system. Halogen has an incredibly simplistic way of adding new files and documents into current files as well as creating new ones. By going digital you can store HR documents for life, even if you don’t usually, without having to keep the original documents in storage. It may be a daunting prospect to change the current system but it doesn’t have to be; documents can be taken away in smaller batches and processed. Also, as an additional service here at Pearl Scan, we offer a free document recall service, Scan on Demand, in which you can request a file and it will be scanned and emailed straight over to you. So a service like this doesn’t have to be as painful as you expect it to be. You’ll understand the true benefits when you see the results. When done right, HR document scanning and digital management can offer the best of both worlds in a convenient and cost-saving package. If you would like some more information on our Human Resources file scanning service and employee record scanning service or for a free, no obligation, quote get in touch today.